PLEASE ACCEPT MY HEART-FELT THANKS! or take the gifts to display or do with whatever you like. to show my appreciation and thanks! I hope you like it. I REALLY APPRECIATE YOU VERY MUCH! 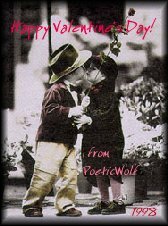 This one I made as a special Valentine's Day Wish for you! May your heart be filled with the kind of love that moves mountains! 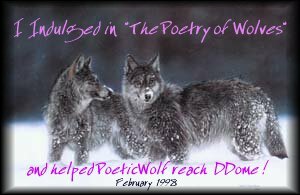 Visit the Home of PoeticWolf .